The Therapy dogs are coming! 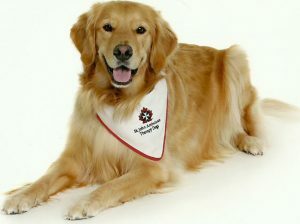 St. John Ambulance Therapy Dogs will be here December 27 from 10-11:30 and 1-2:30. Paws 4 Stories lets your child practice reading out loud to the therapy dog. Therapy dogs provide a calm and relaxing experience for fearful readers. Only one session per child please.